Feng Shui Megamall | Sana Ako si Ricky Lee! 2016 Year of the Fire Monkey Feng Shui Forecast for the 12 Chinese Animal Zodiac (Chinese Horoscope)! Image uploaded from Google Images. Last week I wrote about the “2016 Year of the Fire Monkey Feng Shui Forecast Base on Bazi, Flying Stars, and 24 Mountain Stars Formula: An Imbalanced Year Filled With A Number of Good Stars” Part (1) One and Part (2) Two. Since then I have been bombarded with a lot, and I mean a lot, of emails. I would randomly open ten to 15 emails per day, and from that day on all the emails that I have been receiving are all about asking for the 2016 forecast for each of the 12 Chinese animal zodiacs. I’m sure there are other emails but the ones that I opened are all about the forecast for Chinese zodiacs. Sorry that it took longer than expected. I was busy and as always doing the calculations for this is not easy. In the past years, I have been receiving a lot of positive feedbacks about my forecast for the 12 Chinese Animal Zodiacs or Chinese Horoscope, and while I totally appreciate it, as always, I would like to caution all readers that these animal zodiac forecast are general readings, a lot of your luck will still depend on your Bazi or Paht Chee chart. You should also read the first 2 parts of this forecast because it gives you a whole picture of what are the overall energies of the year. For example, the ruling star if the year is #2 Flying Star or Illness Star, thus it is important that all people should be careful and protects themselves from getting sick and to be more vigilant to avoid accidents, because the Illness Star also causes accidents. Having said this, it is important to note that people born under the sign of Ox and Tiger are especially susceptible to this because they are already afflicted with the Five Yellow Star or Wu Wang (#5 Flying Star). The cures for this are the Illness Suppression Amulet specially made by my Guru Lama, which is highly consecrated and further empowered by a Dharma Pill. But more than that people with kua number 2, 6, 7, and 8 are also afflicted by the Five Yellow Star or Wu Wang because these are people who has a lucky direction that faces Northeast. And common sense dictates that since that they having this in the Northeast will prevent them from accessing this sector thus it is better to get protected from the said star also. to know your Kua number just access an online Kua calculator. Don’t think that this is going to be bad year, as I said it always a mixture of good and bad, it is never or at least it is rarely all bad or all good, well, maybe except for the case of the people born under the sign of the Ox, this year it is going to be quite a challenging year for them. But I’m getting ahead of myself and if you read on you will see that while the prognosis for the year is not very nice the individual Chinese Horoscope or Chinese Animal Zodiac will mostly have good luck, again with the exception of the Ox. More on this on the actual forecast of each animal sign below. Note: If you have read your part and wish to skip the other animal zodiac please go to the bottom part for some added reminders. I initially wanted to post this separately but realized that it is better to post this as a whole to avoid repetitions of some parts. General Traits: Artistic, imaginative, creative, talented, charming, resourceful, opportunist, ambitious, lively, pleasure-seeking, problem solver, resilient, sometimes unscrupulous, selfish, short tempered, spendthrift, insecure, usually successful, tend to gossip. Last year should have been a generally good year for people born under the sign of the Rat. The good news is good things will continue to happen to the people born under the year of the Rat, because this is generally a good year for you. As mentioned in the first part of the forecast, we are lacking for the water element, but a Rat born person’s basic element is Water and so this already gives you some advantage. As long as you continue to be hard working and optimistic you will see that you will be quite lucky this year. But it is quite important to not let your guard down, because you are afflicted with the #7 Flying Star (Violent Star). This means that you have to be careful of people who might get jealous and wish you to do you harm, thus it is very important for you not to be flamboyant about your successes. Furthermore, this might manifest in a way that you might be cheated or robbed. You might also encounter some kind of violence. Thus it is very important for you to have one of the following: Vajrapani Ruel, Kalachakra Pendant (gold) (to understand more about the Kalachakra you can read my post last year about the 2015 Holy Trinity of Protection), Surangama Mantra Amulet. Base on the 24 Mountain Stars formula, you are afflicted with a Yin House Star. This might hinder your successes by creating some sort of mental backlog, such as depression. But if you already have the Vajrapani Ruel, Kalachakra Pendant (gold), or Surangama Mantra Amulet, you no longer need to worry about this star. But should you wish to deal with this particular star separately you can also wear a Prayer Wheel. You are also facing the Three Killings, and as I always said, this is something that is quite easy to deal with. Just be busy and you would have already dealt with this. Or you can carry the image of the 3 Celestial Guardians. This year you are also extremely blessed with a strong Lung – Ta or personal Wind Horse luck, this should aid you in achieving your goals. And having this has already given you some advantage against your ‘competitors’ unless of course they are also born under the year of the Rat. With this always remember that you can be quite successful this year. As mentioned all people are somewhat afflicted by the #2 Flying Star or Illness Stars, which has become the ruling star of the year. The Rat is no exception to this affliction, thus it is quite important that you either have the Illness Star Suppression Amulet, or a Medicine Buddha Mantra Amulet or a Medicine Buddha Pendant. A Holy Gourd or Wu Lou (also spelled as Wulou) will act as a secondary cure for this star. It should be noted that the 8, 32, 44, and 68 years old Rats are the most afflicted. As mentioned, success is quite within reach of a person born under the sign of the Rat. But more than that wealth luck is also quite within reach especially for the 44 and 68 – years – old Rats. The rest of the Rats should be a little more careful in their investments but wealth is also within their reach if they play their cards wealth. 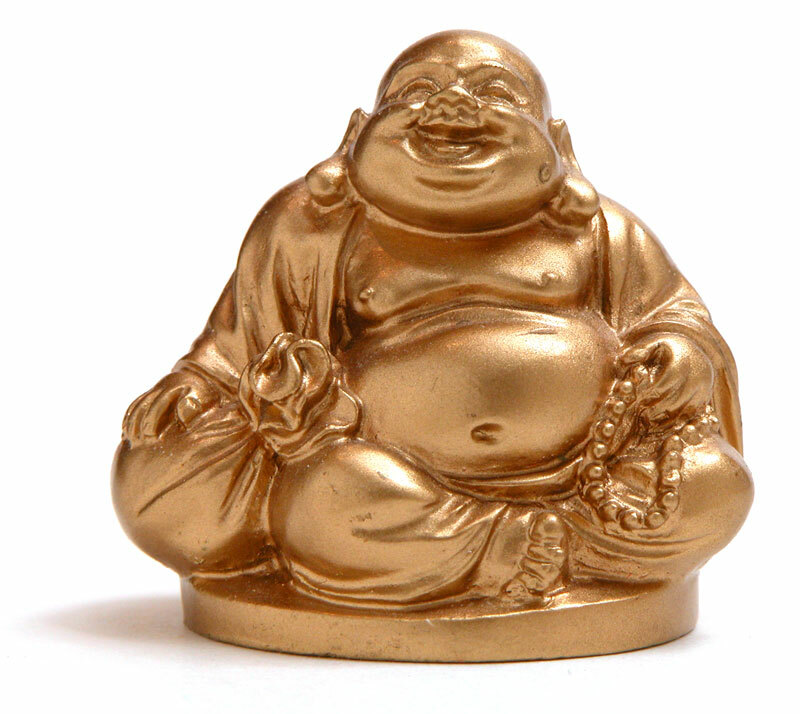 To enhance wealth luck you might want to wear an image of Kuan Kong or Maitreya Buddha. Since I started writing my 2016 Year of the Fire Monkey Feng Shui Forecast, I have been warning you, my reader, about the unusually strong #5 Flying Star (also called Five Yellow Star or Wu Wang) which flies to the Northeast sector this year. As you might have known already the North East sector is the sector that rules or houses the Ox and Tiger, that means these two signs are severely affected by the already dreadful Wu Wang, made more dangerous because it is further strengthen by the energies of the Northeast sector. This affliction together with the energies of the year with the stars of the 24 Mountain Stars has made this year of the Fire Monkey a very challenging one for people born on the year of the Ox, with the Tiger being ‘saved’ by a good star from the 24 Mountain Stars Formula. Having said that people born under the year of the Ox will have to find their inner strength in dealing with things. This year your motto should be PERSEVERE AND THINGS WILL GET BETTER, and remember one year is such a short time, little did you know the year that has just started is about to end, and keep your eye on a good 2017 (base on the Flying Stars formula) and don’t focus on the bad 2016. Meaning this year should go aim for the long term and not the short term. One other concern though is that people born under the sign of the Ox has conflicting basic elements with that of the year’s (2016) elements base of the Bazi. Thus Ox born people will find their life chi and spirit chi quite mediocre, if not weak, thus creating more blockages for the year. Thus it is important to counter this by mentally reminding yourself to be strong. THE FOUR DHARMAKAYA RELIC MANTRAS inside a test tube type glass holder with the incense ash, Pink Himalayan Salt inside it. 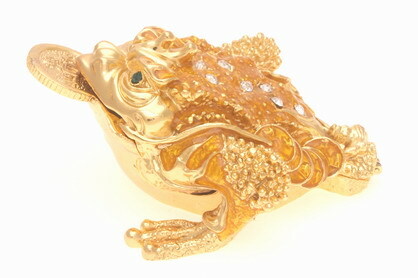 Furthermore, it is very important that all Ox (and Tiger) born people to wear a 5 – Element Pagoda Pendant made of gold. It has to be made of gold. Admittedly, this is quite difficult to find, as of to date, I only know of two possible sellers, one is Lillian Too’s Feng Shui Megamall (click here) and the other one is a private seller that is made to order. Although Lillian Too’s is more expensive, the craftmanship is so much better. I have also asked my Feng Shui teacher in Hong Kong and his Taoist Priest friend about an alternative cure for this, but to this date most, if not all, senior, non – commercialized Feng Shui experts agree that only the Five – Element Pagoda remains to be the most effective and ONLY cure. For this year we further empower it with the power of powerful holy amulets. So aside from wearing the Five – Element Pagoda pendant in gold, it is also imperative that you carry three to five of the above mentioned amulets. Likewise, everybody who stays in the Northeast sector of their office or building should put the Five – Element Pagoda empowered by three to five holy amulets and should wear the Five – Element Pagoda gold pendant and carry three to five of the holy amulets with them at all times. But the problem doesn’t stop there, as mentioned above the basic element of an Ox person conflicts with the elements of the year, thus creating more problems for Ox people, thus it is important that an Ox person should have an additional protection by wearing a Kalachakra Pendant made of gold or clear quartz or jade (to understand more about the Kalachakra you can read my post last year about the 2015 Holy Trinity of Protection). Plastic Kalachakra pendants will not work. For Ox people who has low water element on their chart, or high metal and high fire elements should also make sure that they wear a blue stone as bracelet or pendant. I strongly suggest the stone Tanzanite for it’s special energies. More on that on succeeding posts. The Ox’s personal Lung – Ta is also weak, thus making you more susceptible to defeat or loser attitude. To counter this you can wear a Wind Horse Pendant made of gold or carry the Vajrapani Ruel. Spirit Chi is also weak and this will make people born under the sign of the Ox susceptible to negative energies. Wearing a Prayer Wheel should help counter this. As I said, all Ox born people should be more careful about accidents and illness, because the Five Yellow Star or Wu Wang has made you more susceptible to the illness star. However, having said that the 7, 31, and 67 – years – old Ox person should be even more careful. Again wearing an image of the Medicine Buddha or having the Medicine Buddha Mantra Amulet or Medicine Buddha Prayer Wheel or Illness Suppression Amulet should help avert some big problems. But it might be good for all Ox born people to chant the Medicine Buddha Mantra – TADYATHA OM BHEKANDZYE BHEKANDZYE MAHA BHEKANDZYE RADZA SAMUGATE SOHA or recite the Medicine Buddha Sutra. But let me stress here that although I have put emphasis on the 7, 31, and 67 – years – old Ox people, it doesn’t mean that they are the only ones who will get affected. All Ox people will be severely affected by this star because you also house the Five Yellow Star or Wu Wang. As expected, wealth luck might be quite difficult for Ox – born people, with exception of the 43 and 64 – years – old Ox person. However, for the rest of the Ox, it is quite important to take caution in their investments because wealth luck and financial luck, unlike in 2015, will be quite elusive for you. Thus it is quite beneficial for you to have some wealth amulets like the THREE LEGGED TOAD, image of Kuan Kong or Maitreya Buddha. The 55 – year – old Ox will suffer the most ‘bad luck’ this year in terms of Wealth, so it is important that aside from having the image of the wealth gods or amulets you should wear a Kalachakra pendant made of gold. Ox born people who are into sales and service industry will be hit the hardest with the wealth and financial bad luck. Thus it is also quite important that you wear a Prayer Wheel and Kuan Yin with Sutra or Kuan Yin Jade pendant. Likewise, Ox born people with high water element in their chart will experience some reprieve from this bad luck. However, Ox born people with no water and high earth or metal or fire element should take extra caution. Because these contributes in the strengthening of bad luck and misfortunes cause by the Wu Wang. As such, aside from wearing a blue stone, I strongly recommend that you wear a Wu Lou w/c is a secondary illness cure but it also symbolizes the liquid of health and wealth. Thus this was use by Kuan Yin in pouring his/her wealth and health blessing. The Wulou or Holy Gourd should be made of a blue or green stone. Lastly, the Tai Sui also indirectly affects the Ox so it is good to carry with you an image of the PiYao (also spelled as Pi Yao, Pixiu, Pi Xiu, Pixie, Pi Xie). As you see, this year’s forecast for the people born under the sign of the Ox is quite bad. In fact, this is the worst I have ever seen since I started writing my annual forecast for the 12 Chinese Animal Zodiac (Chinese Horoscope). However, luckily for us, our Zodiac Ally the Rooster will have a wonderful year. So it will be good to surround yourself with people born under the sign of the Rooster or surround yourself with images of Rooster. In fact, wearing an image of a Rooster made of gold or real jade should help a lot in alleviating your luck, especially if you ensure that you are protected. Furthermore, it is very important that all Tiger (and Ox) born people to wear a 5 – Element Pagoda Pendant made of gold. It has to be made of gold because you need the energy of the metal coupled with the yang energy of gold to suppressed the energy of the Wu Wang. . Admittedly, this is quite difficult to find, as of to date, I only know of two possible sellers, one is Lillian Too’s Feng Shui Megamall (click here) and the other one is a private seller that is made to order. I have also asked my Feng Shui teacher in Hong Kong and his Taoist Priest friend about an alternative cure for this, but to this date most, if not all, senior, non – commercialized Feng Shui experts agree that only the Five – Element Pagoda remains to be the most effective and ONLY cure. For this year we further empower it with the power of powerful holy amulets. So aside from wearing the Five – Element Pagoda pendant in gold, it is also imperative that you carry three to five of the above mentioned amulets. But unlike the Ox, Tiger born people will have a strong Lung – Ta this 2016, therefore this will help bring some success for them. Wealth luck will also be quite good for some Tiger born people, and the key to your success is to look for a mentor or an ‘elder’ who can guide you through things. Do not do everything on your own. You are also in direct conflict with the Tai Suey God of the year, so it is important that you carry with you an image of the Pi Yao, which is the best cure to pacify the Tai Sui God. But the very good news for the Tiger born people is the presence of the Big Auspicious star on its side. This, I would say, is the saving grace of the Tiger; because of this single powerful star you have the chance to become very successful this year. To help strengthen the effect of this star, it is highly recommended that you wear an image of one of the following: Kuan Yin Bodhisattva, Maitreya Buddha or Kuan Kong. But like the Ox, because of the presence of the Five – Yellow Star, the Tiger born people are also made more susceptible to the Illness Star or #2 Flying Star. Thus you will have to be care about your health and safety, do not engage in dangerous sports and activities. All Tigers are affected but the 30 and 54 – years – old Tigers should take extra more precaution. The best cure for this is to have one of the following: Illness Star Suppression Amulet, Medicine Buddha Pendant, and Medicine Buddha Prayer Wheel. It is also important for you to chant the Medicine Buddha Mantra – TADYATHA OM BHEKANDZYE BHEKANDZYE MAHA BHEKANDZYE RADZA SAMUGATE SOHA – or recite the Medicine Buddha Sutra. Wealth luck for Tigers ranges from moderate to quite lucky. 18, 54, and 78 – years – old Tiger born people will do quite well in creating money for themselves. To strengthen wealth luck it is quite important for you to wear a Citrine with a 9 – Eye DZI or a Maitreya Buddha Pendant. Lucky! You are quite lucky this year. Your innate capability to appear nice will bring you to success and good luck this year. You have a natural charm that you can use on people and they will be quite supportive towards you. However, don’t let any of these get into your head and never abuse people who help you get to your good luck or success. But you also have the #9 Multiplying and Future Star, so pray that you have deposited quite some good karma in the past so that you may reap it’s good luck now. And try to sincerely do good deeds, because the more good deeds you do now the more luck you’ll have. Your Life Chi is quite weak though, so remember your greatest enemy this year is losing hope, but simply wearing one of the following should help remedy this problem: Surangama Mantra Amulet, Kuan Yin, Om Pendant (gold), Four Dharmakaya Relic Mantras Amulet. Like everyone else you’ll be affected by the #2 Flying Star or Illness Star, especially if you are a 29, 53, and 89 – years – old Rabbit. To remedy this simply wear the Illness Suppression Amulet made by my Guru Lama. Wealth luck will be quite attainable, but the 20, 41, 65 years – old Rabbit you will need a little push. Simply get yourself an image of Kuan Kong or Maitreya Buddha and this would have solve the problem. General Traits: Intelligent, full of energy, witty, quixotic, artistic, enthusiastic, inventive and original in thought, enigmatic, perfectionist, humorous, headstrong, generous, egostical, aristocratic, over-demanding, prone to worry, quick-tempered. Remember these things – Big Auspicious Stars, Small Auspicious Stars (2 of them) that’s what you have this 2016 Year of the Fire Monkey. Needless to say this is quite a lucky year for you. Not only in terms of being auspicious but also with success and different opportunities arising simply for you. Not to mention you also have the #1 Flying Star or the White Victory Star and is on the side of #9 Flying Star and #6 Flying Star also known as Heaven’s Blessing and Mentor Star! How lucky can one person get???? This will be a year that is extremely smooth sailing and you will feel like you’re on a ship where the current and the wind are all going towards one direction. And that direction is the direction of success, wealth, auspiciousness, and opportunities! There is no need for you for any charm or amulet unless of course you simply want to be ‘greedy’ in a good way and further enhanced these energies. 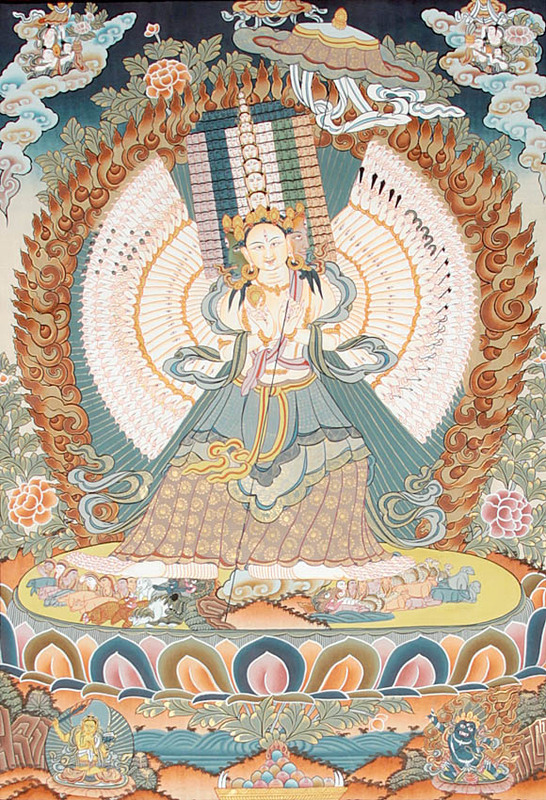 All you have to do is carry the Vajrapani Ruel, or wear an image of one of the following: Kuan Yin Bodhisattva, Amitabha Buddha, or Maitreya Buddha. The only two things that you need to be wary about is that you have a weak Lung – Ta and Life Chi. But the weak Lung – Ta is easily remedied by wearing or carrying the image of the Lung – Ta or Windhorse or a Surangama Mantra Amulet. 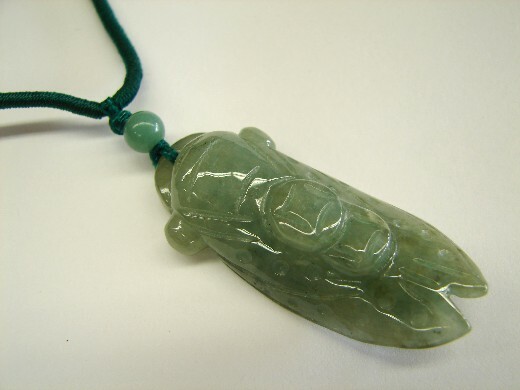 And the weak life chi, which may manifest by making yourself less competitive for fear of failure, is easily remedied by wearing the Deity Life Chi Amulet. These are your biggest afflictions for the year so to ensure a great year it is important for you to deal with them. And like everybody else, you are affected by the #2 Flying Star or Illness Star, especially Dragons that are 16 and 53 – years – old this year. To remedy this simply wear the Illness Suppression Amulet and chant the Medicine Buddha Mantra – TADYATHA OM BHEKANDZYE BHEKANDZYE MAHA BHEKANDZYE RADZA SAMUGATE SOHA. In terms of wealth luck, as mentioned all Dragons will have this, but the ones who are to really benefit from this are the 28 and 64 – years – old Dragons. The 53 – year – old Dragon will have this provided he maintains an upbeat and positive outlook. To further enhance this luck, simply wear the image of Kuan Kong. Another sign that should be quite lucky despite the presence of some unlucky star is the Snake; the Snake’s secret friendship with the Monkey should bring in some luck for the Snake. The Snake has the #1 Flying Star, which is the White Victory Star, this star is sure to bring victory to most, if not all, the Snake’s undertakings. The Snake will naturally have the winning edge this year. To further enhance this star, it will be nice for you to carry or wear the Victory Banner. You also have a Small Auspicious Star with you, and thus it should bring some career luck for you. But you are in side conflict with the Three Killings, and simply carrying an image of the Three Celestial Guardians should remedy this, or simply keep yourself busy. Your basic element is also in tune with the element of the year’s bazi or Paht Chee chart and so this should give you added energies by way of strengthening your personal confidence and inner strength. Your spirit chi is also quite blooming, and so you are not quite susceptible to negative chi especially those who are thrown to you by angry or jealous people or people with ill intent. Again, like everyone else, you are also affected by the #2 Flying Star or Illness Star that causes not only illness but also accidents. Greatly affected by this are 15, 51, and 75 – years –old Snake. To counter this simply wears the Illness Suppression Amulet. You are the only animal sign the benefits from the powerful combination of the 168 powerful combos. The 168 powerful combos are the #1, #6, #8 Flying Stars or namely the White Victory Star, the Heaven’s Blessing and Mentor Star, and Wealth Star. For all intent and purpose you should have been the luckiest sign amongst all the 12 Chinese Animal Zodiac but the presence of the some unwanted star from the 24 Mountain Star Formula tempered this luck. Nevertheless, it is still a progressive year for the Horse. The White Victory Star makes sure that you maintain some winning edge in all your endeavors, the #6 Flying Star will bring in the blessings of some powerful mentors and the blessings of Heavenly Beings and Buddhas and Bodhisattvas. Plus Wealth Luck is definitely within your reach. 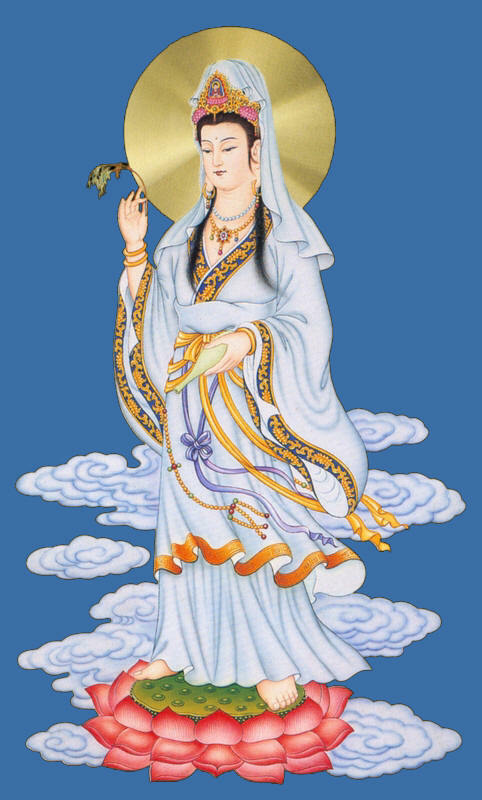 To further enhance these stars you can wear the Victory Banner, an image of Kuan Yin (preferably with Sutra) and a Three – Legged Toad. The only thing that prevented you to be the luckiest sign is the fact that you have the 3 – Killings and a Xa Xing (please refer to the part 2 of the forecast to know what is Xa Xing). Again the Three Killings is not so much of a problem, all you have to do is keep yourself busy or carry the image of the Three Celestial Guardians. The Xa Xing is entirely different thing, you will have to take care of this because can this bring some great misfortune. For this you need to carry the Vajrapani Ruel, or Kalachakra Pendant in gold (to understand more about the Kalachakra you can read my post last year about the 2015 Holy Trinity of Protection). You can also put a Prayer Wheel near you and rotate it everyday as an added protection. And like everyone else health luck is affected because the #2 Flying Star, which is also known as the Illness Star, a star that causes both illness and accidents is the ruling star of the year. The 2, 38, and 62 – years – old Horses should take extra precaution. To counter this it is quite important for you to wear the Illness Suppression Amulet and chant the mantra of Medicine Buddha – TADYATHA OM BHEKANDZYE BHEKANDZYE MAHA BHEKANDZYE RADSA SAMUGATE SOHA. Lastly, although your wealth luck is good, remember that because of the natural energies of the year you have to be careful about how you handle your finances. It will be good if you carry a Wealth Lock amulet, you can wear this as a pendant, and if it’s made of gold so much the better. People born in the year of the Sheep or Goat should an almost balanced mixture of good and bad luck this 2016 Year of the Fire Monkey. You have a very powerful Lung – Ta or Windhorse luck this year and this should help you get your way into being successful, and for because you have the #8 Flying Star, which is also known as the Wealth Star, expect money to be quite within reach, especially if you wear some gold and a blue semi – precious stone as a bracelet. To further enhance this wealth luck, you can also wear an image of Maitreya Buddha or the Happy Fat Buddha or a Three – Legged Toad. However, you are slightly weakened by a medium strength life chi and spirit chi. You might say that this is simply medium strength and it shouldn’t be so bad. True, but in the case of person born under the sign of the Sheep, this is quite a serious matter, especially if we take into consideration the general energies of the year. One way to contract this medium strength life chi is for you to always try to keep a positive outlook, or simply wear a Deity Life Chi Amulet or a Kuan Kong. To counter the effects of having a medium strength spirit or spiritual chi, you can wear a Kuan Yin (preferably with Sutra). The #8 Flying Star may also be tempered by the fact that you have the Three Killings on your left side of the chart, and a Yin House Star and an Annual Xa Xing. . The Three Killings is easily remedied simply by carrying an image of the Three Celestial Guardians, and the Yin House can be remedied by wearing a Prayer Wheel or Kuan Yin with Sutra pendant, but the Annual Xa Xing, which is a serious problem that can lead to serious set backs and bad luck should be dealt with. Carry the Vajrapani Ruel or wear an Amitabha Buddha pendant for this. Like everyone else, you are definitely also affected by the #2 Flying Star known as the Illness Star. But the 37 and 61 – years – old year of the Sheep should be the one who take utmost care. Thus it is important for you to have the Illness Suppression Amulet. The first part of the year should prove to be a little challenging for the people born under the sign of the Monkey, but that is not to say that the year is going to be bad one for you. On the contrary, this is going to be a good year for the Monkeys. The slight struggle in the first part of the year is due to the conflicting energies with the basic element energy of the Monkey and of the year, but simply knowing this should provide you with some buffer already and remember that good things are about to come your way, and that this struggle is simply a temporary struggle. To help you with the initial struggle and totally obliterate it and pave for an earlier success it will be good if you can have either a Kuan Yin with Sutra Pendant, Vajrapani Ruel, Surangama Mantra Amulet, Kuan Kong, or a Prayer Wheel. Again, just one of these will do. One of the most wonderful news for people born under the sing of the Monkey is that you have the #8 Flying Star, which is one of the most coveted star! If you read the first two parts of this forecast, or if you’re familiar with Feng Shui, you might remember that the #8 Flying Star is also called the Wealth Star, and as the name implies it brings wealth luck or financial luck or money luck to you! It will be great if you can enhance this luck by wearing an image of Maitreya Buddha or a Three Legged Toad! What’s more since the star lands in a sector that is ruled by the earth element, it is quite stronger this year, but just in case you want to give it a further boost, you can wear a citrine bracelet further enhanced by the 9 – Eye DZI bead. However, the Tai Sui God of the year also resides in your sector, and he can be either a great push for you to have a good luck or you can earn his ire and send you tons of bad luck. But the good thing is appeasing him is quite easy, all you have to do is carry an image of a Piyao (also called Pi Yao, Pixiu, Pi Xiu, Pixie, Pi Xie) or the image of the Goddess of the North Star or Dou Mu Yuan Jun. One other slight hump in the journey to great success is that you have a Yin House Star also. But simply wearing (again) a Kuan Yin with Sutra Pendant or Prayer Wheel this would have been managed already. An Ammonite Fossilized Shell is a very powerful tool to negate negative energies. It also helps us achieve our goal and bring us financial and career success. However, ammonites are very expensive because this fossil actually preserved the shells formed by prehistoric cephalopods, which are extinct distant relatives of squids. I have two ammonites. I got one that’s really affordable and I thought I got a good discount, it turn out that its a fake ammonite. I then looked for a real ammonite and eventually found one but it did cost quite a small fortune. But I’m happy with it because fake ammonites are basically useless. However, this is a year that your life chi and personal lung – ta or Windhorse luck is weak. A weak life chi might lead to confusion that in turn will lead to wrong decisions, and it also might make you a bit easier to put down. To manage this you can simple wear an Ammonite (just make sure it’s real because there are a lot of fake ammonite. An Ammonite is also a good wealth amulet) or the Vajrapani Ruel. For a weak Lung – Ta or Windhorse luck you can also wear a Windhorse pendant or carry the 9 – Ringed Sword of Kuan Kong. But the great news is your Spirit chi is quite strong, and this means that you won’t be affected by the negative energies around you. But like what I have been repeating again and again in this 2016 Year of the Fire Monkey Feng Shui Forecast, all of us, everybody is affected by the #2 Flying Star, which has become the ruling star of the year because it landed on the center, this star causes illness and accidents so you should also be careful and everyone should wear the Illness Suppression Amulet or an image of the Medicine Buddha. But the 24, 60 and 84 – years – old Monkeys should pay extra caution. It will do well if they chant the mantra of the Medicine Buddha everyday. The mantra is – TADYATHA OM BHEKANDZYE BHEKANDZYE MAHA BHEKANDZYE RADZA SAMUGATE SOHA. Or you can recite the Medicine Buddha Sutra. It is worth mentioning here that while all Monkeys will have great financial or wealth luck, it is the 24 and 48 – years – old Monkeys that will find themselves totally reaping this luck! When I did my calculations and analysis of the Dragon and Rabbit and started writing my forecast about them, I thought that they would be the luckiest Chinese animal zodiacs of the year, but I was wrong because the Rooster seems to be the luckiest sign of the year. The only affliction is a side affliction aside from the #2 Flying Star (Illness Star) that affects all animal signs, and #3 Flying Star (Argumentative Star), which for the case of the Rooster is going to be quite manageable. But the real good news is that aside from having the #4 Flying Star (also known as Romance and Scholastic Star), and being affected also by the #8 Flying Star (Wealth Star), they have not one, not two, but three (3), yes three Big Auspicious Stars! This is quite rare and can it get any better?!!!!!! As I said, this is quite rare and it is obvious that this is a record-breaking incident. Good luck will surely come your way!!!!! These good luck may manifest in unending opportunities, wealth or money luck, abundance of good fortune! On top of it, your windfall luck for the year is quite great so expects a lot of unexpected (yes it sounds contradictory) money luck! The #4 Flying Star, also known as Romantic and Scholastic Star, indicates that your romantic or love life is going to be good, especially if you’re single. 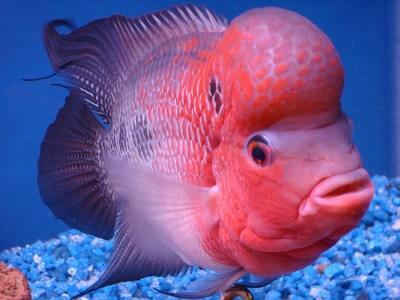 If you want to enhance this, you can a pair of Mandarin Ducks made of Rose Quartz. However, for attached or married couple this may mean extra marital affairs. To safeguard your love life from this wear the Double Happiness Symbol in gold or if you’re married tie an Amethyst Geode with Red String at the foot of your bed. All Rooster can benefit from wearing the special Turquoise bead of my Guru Lama that has the Double Happiness Sign and Longevity Sign. These Turquoise beads of my Guru Lama are highly blessed. Please note that these are mala beads broken into single powerful beads for people who wants to avail them to help the Sentient Beings in Tibet and Nepal. The #4 Flying Star is also the Scholastic Star, so this indicates that students will have a better and easier time in school, as well as those whose pursuit for wealth luck involves scholastic endeavors like research. As mentioned you are highly blessed with 3 Big Auspicious Stars from the 24 Mountain Stars Formula!!!! And this means that only good things await people born under the sign of the Rooster!!!! Don’t be surprised if you find yourself with so much good luck, so much good things happening at the same time that it has become overwhelming!!!!! Really, everything will just seem to be working really well for you, and they do!!!! The only draw back is the your Lung – Ta or Windhorse luck is mediocre, but all the good news that will be coming your way will definitely more than compensate for it. Also your Life Chi is at it’s lowest, but simply wearing the Deity Life Chi Amulet or the Surangama Mantra Amulet will remedy this. Like everybody else, all Roosters should be careful with the Illness Star. This is a serious concern for all signs and thus it is quite important for you to wear the Illness Suppression Amulet or an image of the Medicine Buddha or Medicine Buddha Prayer Wheel. The 23, 59, and 83 – years old are the most affected amongst the Rooster sign. The key phrase for the Dog this 2016 Year of the Fire Monkey are “Don’t Bark” and “If You Have to Bark Please Think Twice!” because this year you are ruled by the #3 Flying Star, which is the Argumentative Star or what some people call as the Quarrel Star. You will find yourself getting into a lot of arguments and possibly some court case. On top of it, you may get short tempered and hot headed. The key thing to do is to focus on the real issue and do not get side tracked with minor irritating concerns. 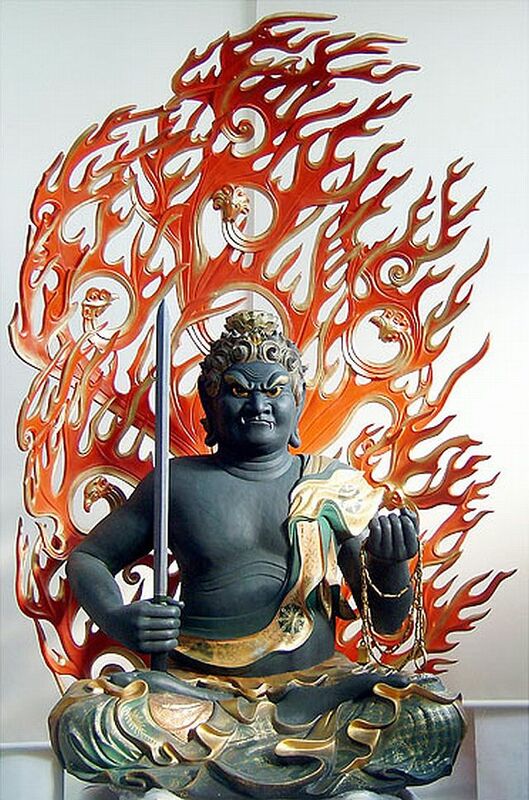 Normally, the cure for this is the Ksitigarbha Fireball, but this year, it is best to avoid this because of the already strong fire element of the year. So the best thing for this is to wear the Kuan Yin with Sutra Pendant made of gold. This will help pacify the effects of the said star. However, for Dogs who are already involve in legal case or court cases, it will be nice to add the Vajrapani Ruel or the Surangama Mantra Amulet (on top of the Kuan Yin with Sutra Pendant) to help ensure that you win the said cases, this is because having this star on your end also means that it is likely that you will be in the losing end of the said cases. On top of that you have to be careful also about having arguments with your loved ones or business partners, because this might escalate into a big fight. Again, this year, like last year, the best cure for that is the Kuan Yin with Sutra pendant. You are also afflicted with a bad star from the 24 Mountain Stars Formula. This may manifest in terms of you losing some valued relationships (as also influenced by the Argumentative Star) and also wealth loss. To help counter this, you can donate a blood or wear a Prayer Wheel or a Surangama Mantra Amulet. The good news is a Big Auspicious Star and a Small Auspicious Star that may manifest in forms of wonderful opportunities flank you. Should you want to enhance this star, it might be good for you to wear an Ammonite or a Kuan Kong. Like everyone else, you will have to be careful with your health and safety because the year is ruled by the Illness Star or #2 Flying Star as it lands on the center. So to counter this, it is highly recommended that you wear the Illness Suppression Amulet, or an image of the Medicine Buddha. Dogs that 22, 46, and 82 – years – old should take most care. It will also be god if they wear the Medicine Buddha Prayer Wheel. Despite of some afflictions indicated in your Flying Star Chart and 24 Mountain Stars Formula, people born under the sign of the Pig are going to be one of the luckiest this 2016 Year of the Fire Monkey. This is because your basic element is compatible with the energies of the year. More than that you are likely to experience this good luck as soon as the year starts. You will also experience help from the heavenly beings especially if you invite images of Buddhas or Bodhisattvas or Deities or Taoist Gods or even Catholic images of Saints. The biggest concern for the Pig/Boar is, like the Dog, you are severely and directly affected by the #3 Argumentative Star also known as the Quarrel Star. This star might damper some of the good things that is bound to happen to you. You will find yourself getting into a lot of arguments and possibly some court cases. On top of it, you may get short tempered and hot headed. You might find yourself also attracting other people of the same temperament or influence them to have the same temperament thus making things much worse. The key thing to do is to focus on the real issue and do not get side tracked with minor irritating concerns. Normally, the cure for this is the Ksitigarbha Fireball, but this year, it is best to avoid this because of the already strong fire element of the year. So the best thing for this is to wear the Kuan Yin with Sutra Pendant made of gold. This will help pacify the effects of the said star. However, for Pigs or Boars who are already involve in legal case or court cases, it will be nice to add the Vajrapani Ruel (on top of the Kuan Yin with Sutra Pendant) to help ensure that you win the said cases, this is because having this star on your end also means that it is likely that you will be in the losing end of the said cases. But as mentioned you will also receive ‘help’ from the heavens this is because you are lucky enough to have the Heaven’s Seal brought about by the 24 Mountain Stars Formula. This star shall bring you blessings from Heavenly Beings and Buddhas and Bodhisattvas or Deities or Taoist Gods. To further enhance this star it will be good to wear an image of a Buddha like Shakyamuni Buddha, Medicine Buddha or Amitabha Buddha. Or that of Bodhisattvas like Kuan Yin (also known or spelled as Avalokitesvara, Kwan Yin, Guan Yin), Maitreya Buddha, Sangharama Bodhisattva (Kuan Kong, Guan Gong). Having them both as an image at home and as pendant should work. It is worthy to note that the Heaven’s Seal might also bring you some people in your life that can help pave the way for you to attain success or your objectives. Furthermore, you also have the Small Auspicious Star and this should bring you some opportunities that may be small from the start, but it is up to you to make them big. Having said that, you can enhance this star by wearing the Deity Life Chi Amulet or Ammonite or a nice semi – precious stone image of a Cicada. You are indirectly affected by the Three Killings, but keeping yourself busy will definitely manage this star, or you can simply carry the image of the Three Celestial Guardians. What is really nice about people born in the year of the Pig is that for this year your Chinese Horoscope reading indicates that your life chi, your personal lung – ta or Windhorse luck are quite strong, thus you will find yourself with a lot of inner strength and confidence. Another draw back though is that your Spirit chi is quite weak and you may find yourself easily affected by negative energies or negative chi. To safeguard yourself from this it is quite important for you to wear a gold Kalachakra pendant. Remember that it is important that it is made of gold. Secondary options are jade or clear quartz. We are all affected by the #2 Flying Star also called Illness Star. 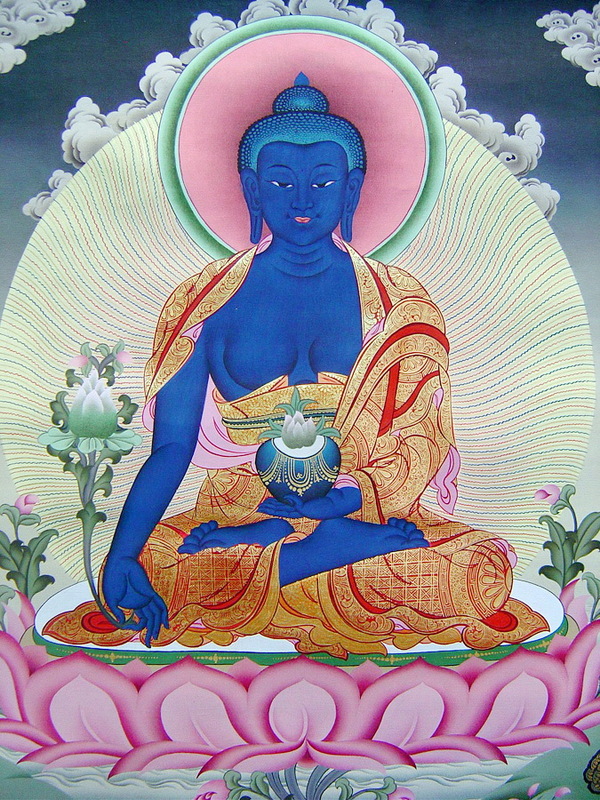 So everyone should wear the Illness Suppression Amulet or an image of the Medicine Buddha. Chanting the Medicine Buddha mantra – TADYATHA OM BHEKANDZYE BHEKANDZYE MAHA BHEKANDZYE RADZA SAMUGATE SOHA – and reciting the Medicine Buddha Sutra are also important, especially for the 21, 45, and 81 – years – old Pigs or Boar. This ends my annual forecast for 12 Chinese Animal Zodiacs or Chinese Horoscope. And as you can see that while the general reading of the year is not very good, the individual forecast of each of the Chinese Animal Zodiac or Animal Sign or Chinese Horoscope are mostly good, maybe with the exception of the Ox. I will be the first one to say that this is reading is not 100% accurate because one will have to take into consideration. And regular readers will know that I always say this every year. But in the first two parts of the forecast, I have already told you how to calculate your Bazi or Paht Chee using some of the online Bazi calculators. Should you have a high water element on your chart, this year should be a little better, but if there is no water and you have a high fire and metal element on your chart, this should be a little be more challenging for you. But remember, prayers work and it’s useless to know these things if one won’t be able to manage them. 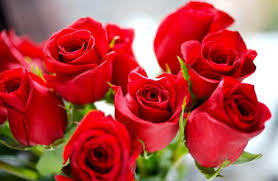 Sincere good deeds should also make a lot of wonders especially in tempering or eradicating bad luck. Illness Suppression Amulet or Medicine Buddha Pendant. Chant Medicine Buddha Mantra or Recite Medicine Buddha Sutra or both. Check your Bazi or Paht Chee by using some of the online Bazi calculators and depending on the result (check Part 1 of this year’s forecast for the instructions) gets yourself a blue semi – precious or precious stone. In essence, the above is this year’s Holy Trinity. Please note also that if your age or animal zodiac was mentioned as one of those who is highly afflicted by the Illness Star, you may want to further protect yourself with the Blessed Turquoise Bead with the Longevity Sign and Lotus image that signifies renewing of energies. This is addition to the mentioned cures. Also for this year, I have decided to stream line the recommended cures. Because the more cures I recommend, the more emails I receive asking whether what is the best cure. So what I did now is simply recommend those that will work best. I took into consideration availability of the cures, and in that case, if the initial cure may be difficult to find, I decided to add other cures. The only exception is regarding the Five Element Pagoda, which is the cure for the Wu Wang / Five Yellow Star / #5 Flying Star, that is the only option as of now, and my Feng Shui Teacher and his Taoist Priest friend has stressed that as of to date all senior Feng Shui experts agrees that it is still the only effective cure. However, for this year since we need to strengthen the said cure, we added some powerful amulets. I know that the Five Element Pagoda pendant is quite difficult to find especially since it has to be in gold, but it available in some online store and by special request thru a private seller.